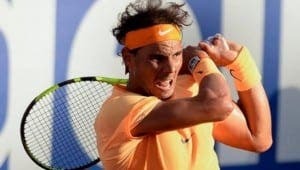 LEAKED records on Rafael Nadal and Mo Farah have shown they were permitted to use banned substances. Hacker group Fancy Bears has released a list of World Anti Doping Agency (WADA) drug test results of well known athletes, which includes Britain’s Olympic golf champion Justin Rose. 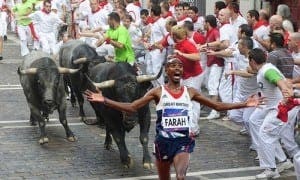 The records show that Farah received a Therapeutic Use Exemption (TUE) form to take triamcinolone, before being given permission to use three separate prohibited substances in 2014, including one by intravenous injection. But when asked by the BBC if he had ever received a TUE in 2015, the Olympic legend specifically stated that he had only received one. TUE’s allow athletes to take banned substances to treat illnesses or injuries if there are no other viable medical options. The leak comes after Mo’s former coach Jama Aden became embroiled in a doping scandal earlier this year. ing the French Open nine times in row, was issued TUE certificates in 2009 and 2012, when he was allowed to take the banned substances betamethasone and corticotrophins. Olympic gold golfer Justin Rose also received a TUE this year to use prednisolone, the leak revealed. WADA has confirmed the validity of the leak, saying the group had obtained the confidential details illegally. Looks as if the only clean “athletes ” are those that don’t win. This drug taking is getting out of hand. Just as “amateur” and “professional” sportsmen were quite rigidly separated, maybe it’s time for “druggy” and “non-druggy” classifications in sport. If a “non-druggy” is ever caught out getting mashed, then he/she should be condemned to the “druggy” class, for life. This system would be simpler to police, needing only to test those athletes who purport to be “clean” the others could go on their very merry way. Sure, they would be dropping like flies, but we don’t mind two blokes beating each others brains out in the ring, causing brain-damage and death, so pop the pills boys and girls and give us all a laugh!